ARE YOU LETTING A HIJACKAL TURN YOU INTO PREY? 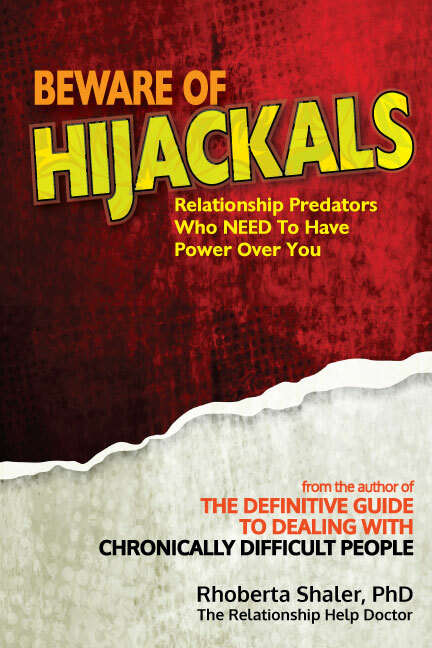 BEWARE OF HIJACKALS® - Relationship Predators Who NEED to Have Power Over You. Yes! I Need to know this! This is a free, no-obligation offer from Rhoberta Shaler, PhD, The Relationship Help Doctor. By requesting this complimentary product you also agree to accept occasional emails from Dr. Shaler. You can unsubscribe at any time, and your information will never be shared with any 3rd party.